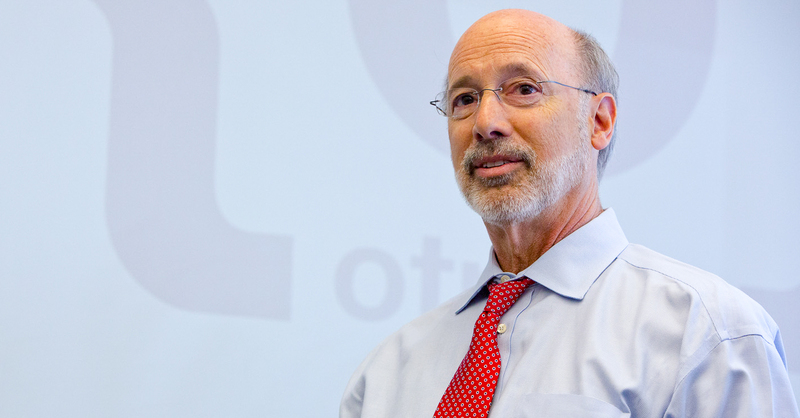 Philadelphia, PA – Governor Tom Wolf today announced a $10 million state grant to aid in the redevelopment of the Gallery, a former shopping center spanning three city blocks from 8th to 10th streets along Market Street in Philadelphia. The $575 million project will transform the site into the new ‘Fashion Outlets of Philadelphia,’ a 730,000 square-foot retail space expected to open in 2018. The $10 million Redevelopment Assistance Capital Program (RACP) grant will help the Philadelphia Real Estate Investment Trust (PREIT) close a final funding gap in the project, allowing it to become a reality. The grant will be used to improve exterior facades that connect the street to public transportation, interior renovations including the installation of new mechanical systems and the replacement of escalators and elevators, and a greatly enhances pedestrian connection between City Hall, the Independence Mall historic area, and the recently expanded Pennsylvania Convention Center and the Avenue of the Arts. Throughout the course of the two-year construction period, over 2,100 jobs are expected to be created. Once the Fashion Outlets of Philadelphia has opened, PREIT and Macerich estimate approximately 2,300 direct and indirect permanent jobs will be created, including over 1,000 retail jobs and nearly 300 office jobs. The expected one-time economic impact on the Commonwealth of Pennsylvania is $560 million, including $480 million for the City of Philadelphia, with an additional yearly economic impact of $300 million throughout the state.